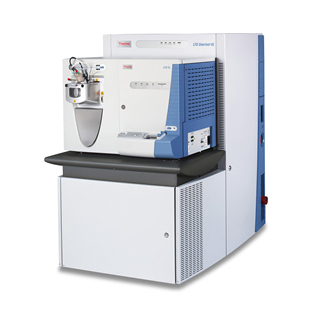 Available from KRSS a used fully refurbished and serviced Thermo LTQ Orbitrap XL, Hybrid Ion Trap Mass Spectrometer with HPLC system and Generator. Price includes installation and 6 months warranty. Combining fast, sensitive linear ion trap MSn with high-resolution, accurate-mass (HR/AM) Orbitrap™ technology, the research-proven Thermo Scientific LTQ Orbitrap XL system provides economical access to the power of hybrid ion trap-Orbitrap analysis. With outstanding mass accuracy, resolving power, high sensitivity and MSn capability, the LTQ Orbitrap XL™ instrument is the instrument of choice for confident, reliable detection, identification, and characterization. The standard higher-energy collisional dissociation (HCD) collision cell provides exceptional flexibility in fragmentation for advanced proteomics and small-molecule research. Perform a range of applications from protein identification, to biomarker discovery, de novo sequencing and metabolite profiling, with confidence.